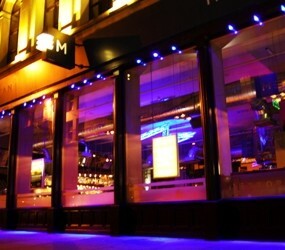 IT’S party time this weekend at Metropolitan cocktail bar and restaurant in Merchant Square. Friday night sees the launch party of a new cocktail list followed on Saturday with an eight till late Halloween party. Friday night festivities include free cocktail sampling, with entertainment from fire poi dancers, hula, DJs, live music, photographer and a spectacular ribbon dancer while the Metropolitan Halloween party on Saturday 29th October will feature a themed bar, fancy dress, DJs, live music, percussion, prizes and themed promotional cocktails. Entry is free with revellers set to party from 8pm till 3am.